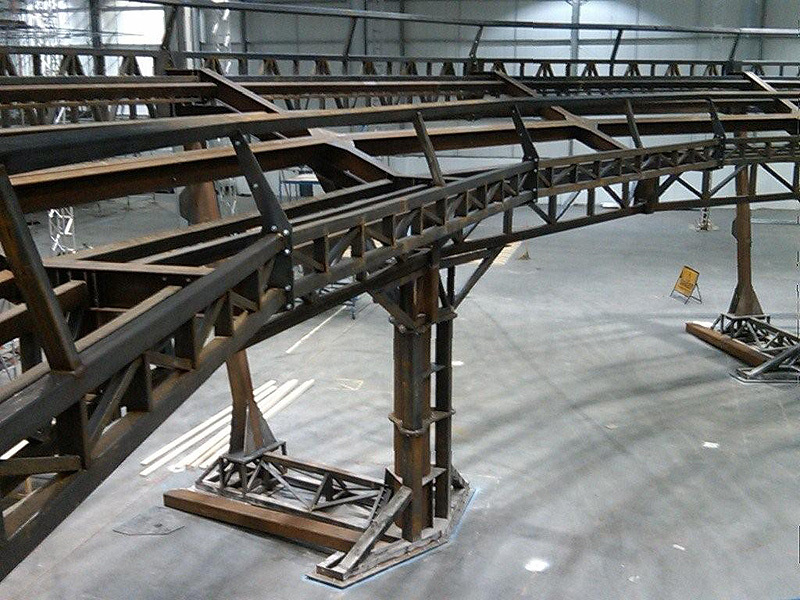 This project for a film production used over 80 tonnes of steel. In the time lapse you can see it arriving to site in segments and then erected by crane over a two week period. The balcony was approx 300ft long in a horseshoe shape with 12 segments, some of the segments had different angles at each end as to form the shape. 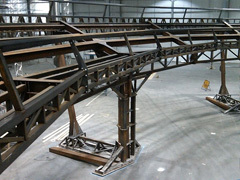 It was designed on the computer by some highly skilled professionals and we fabricated at our workshops at pinewood studios then transported to site and erected. The balcony was raise off the ground at about 25ft on 6 specially designed and constructed legs and it is testament to all of ours staff's hard work that we came in over the 300 linear feet length, 3mm out at the front and 5mm at the back! The video below is a time-lapse recording showing the construction of the balcony.